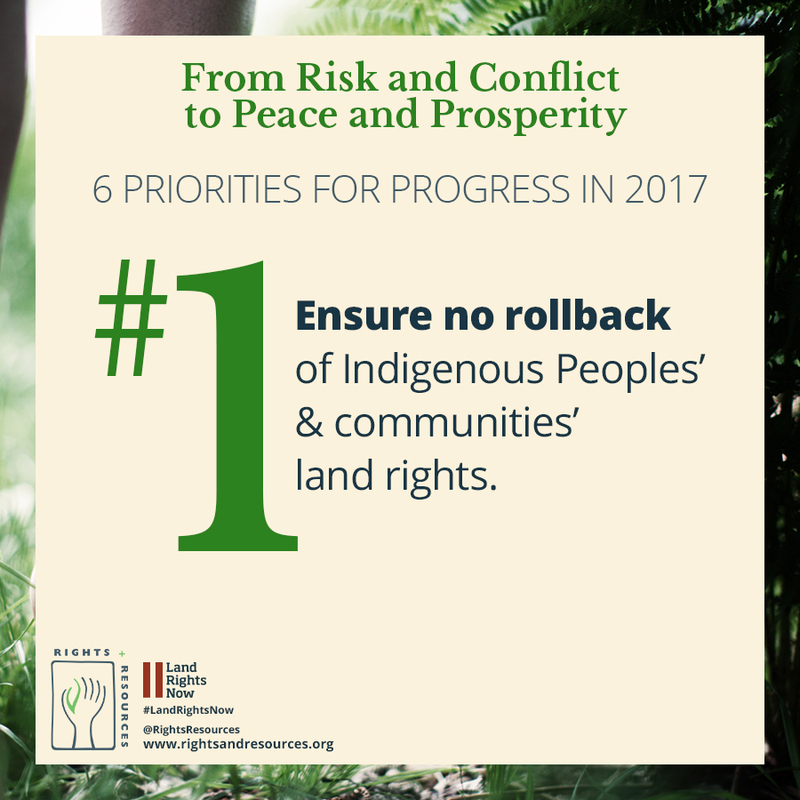 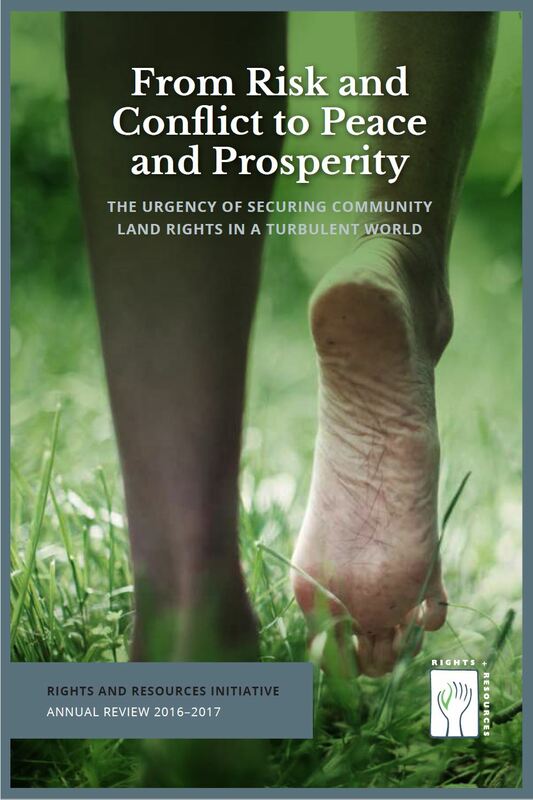 Ensure no rollback of Indigenous Peoples’ and communities’ land rights. 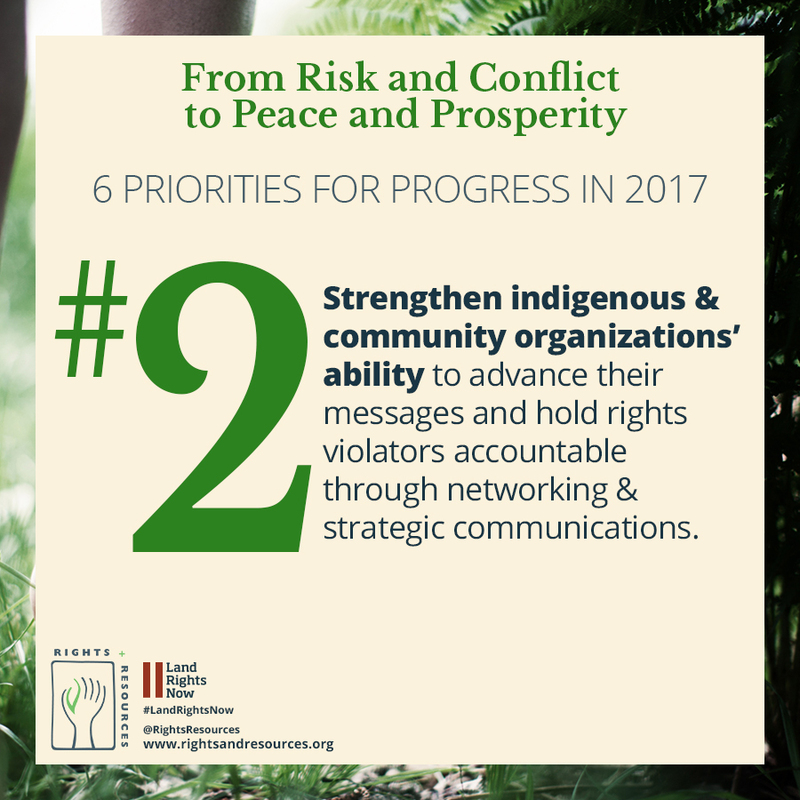 Strengthen indigenous and community organizations’ ability to advance their messages and hold rights violators accountable through networking and strategic communications. 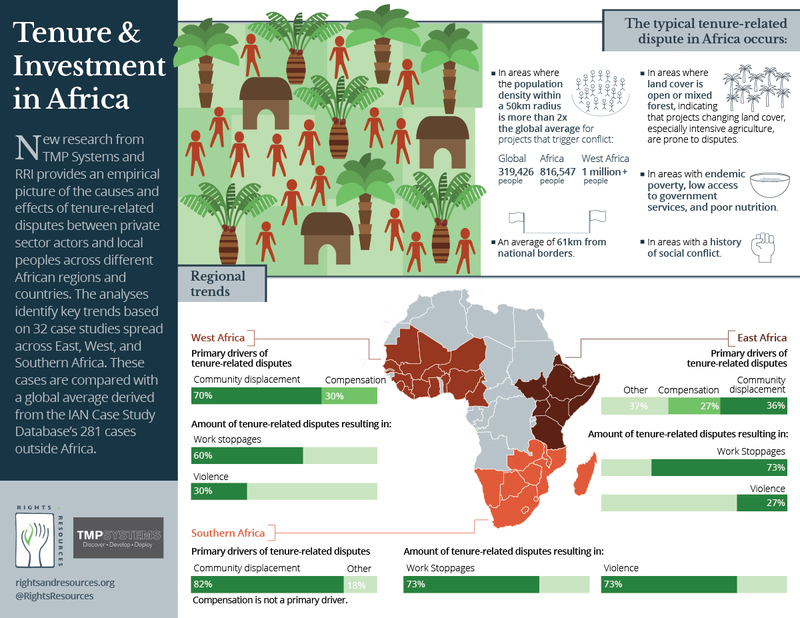 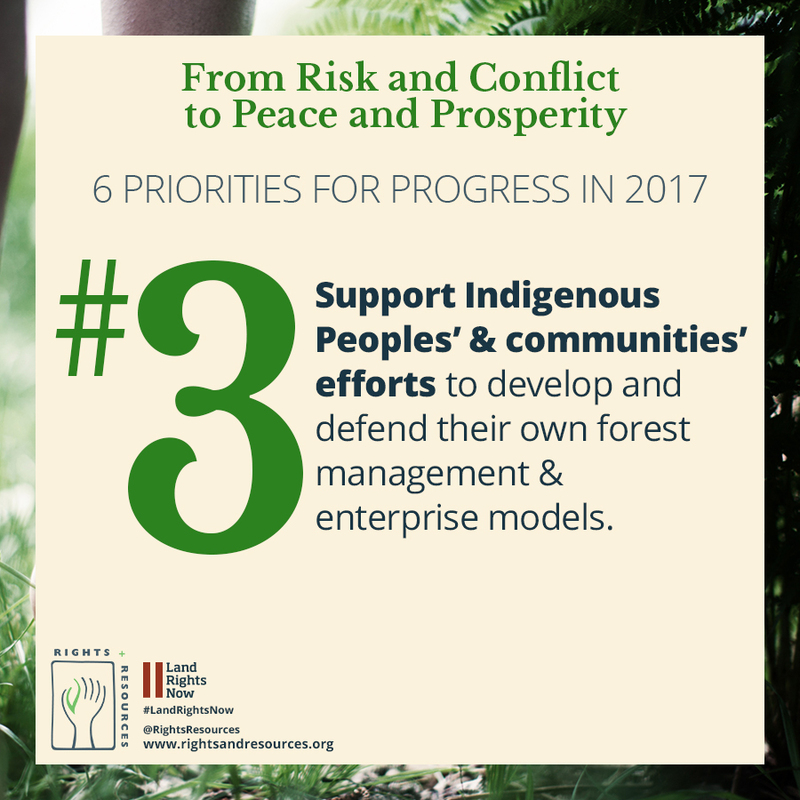 Support Indigenous Peoples’ and communities’ efforts to develop and defend their own forest management and enterprise models. 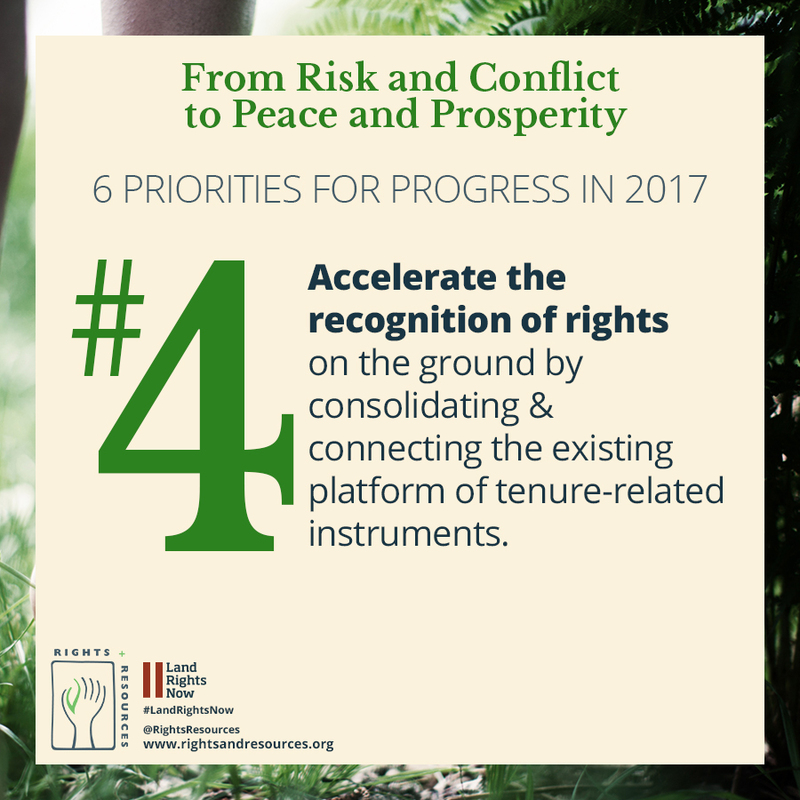 Accelerate the recognition of rights on the ground by consolidating and connecting the existing platform of tenure-related instruments. 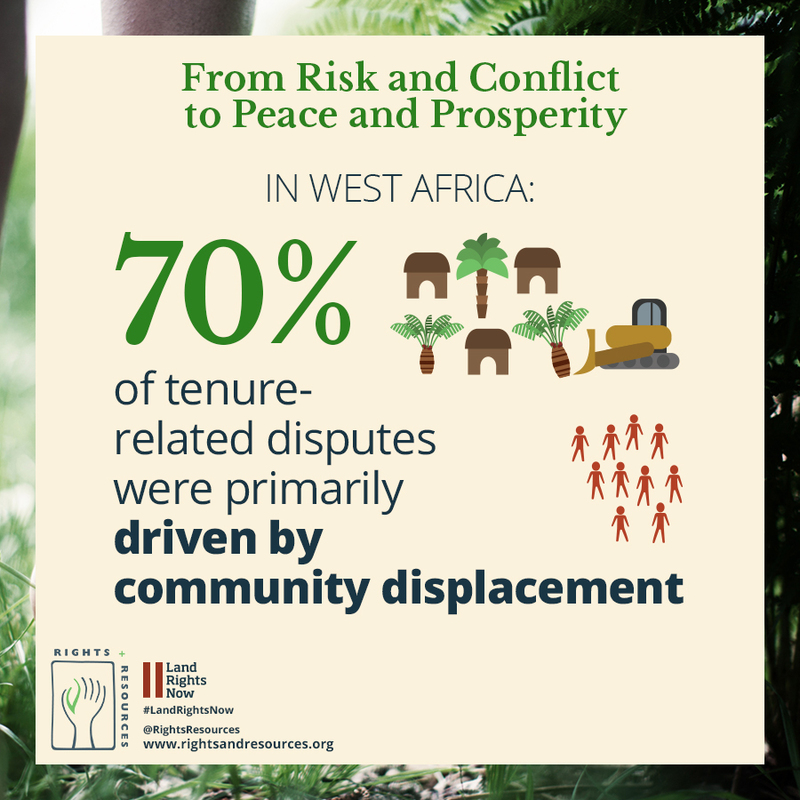 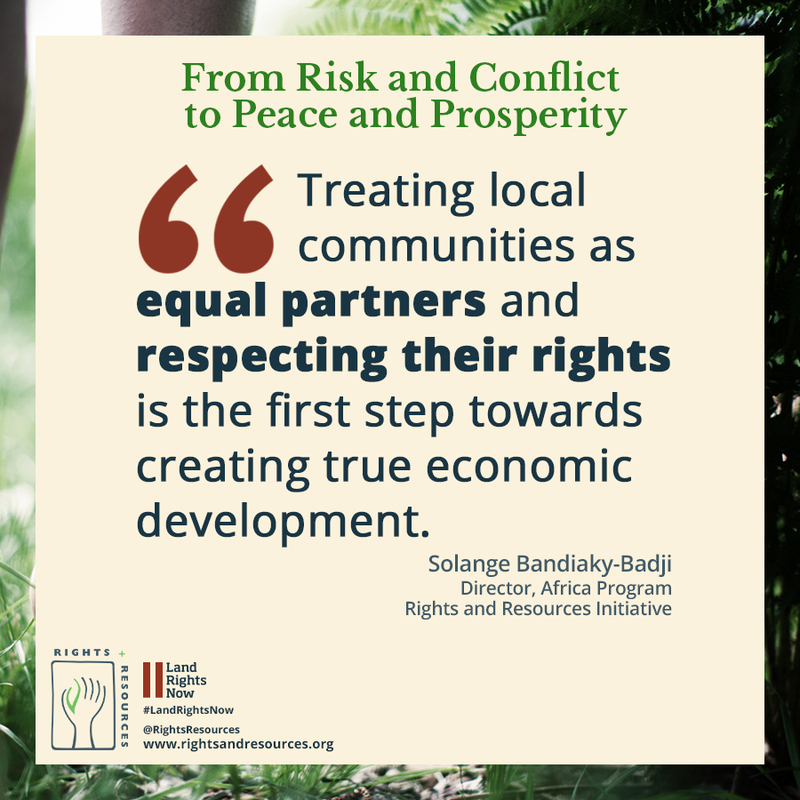 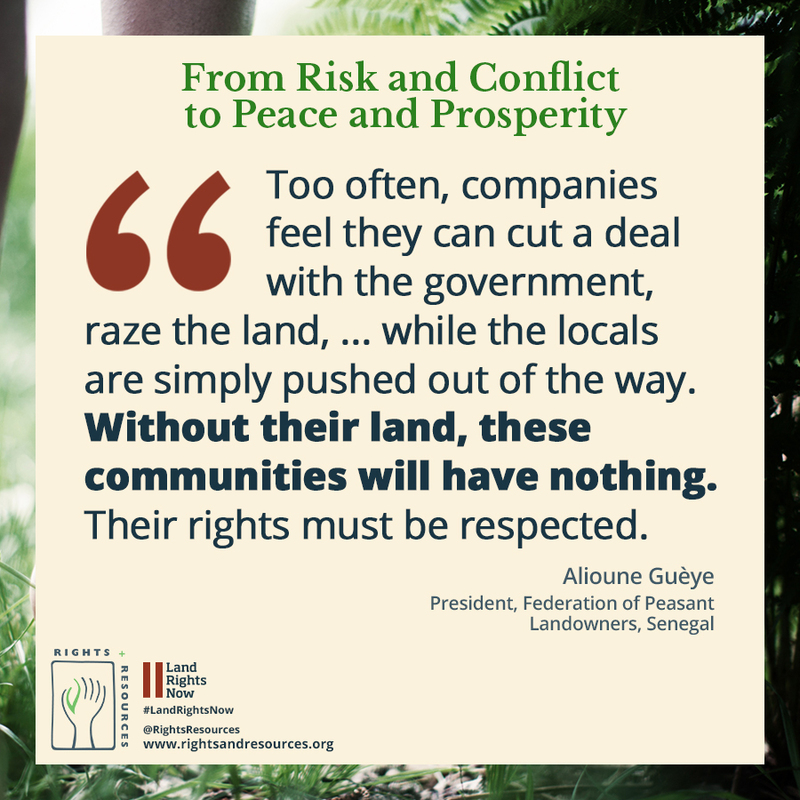 Mobilize greater effort by the private sector to secure community land rights as a way to minimize business and climate risks. 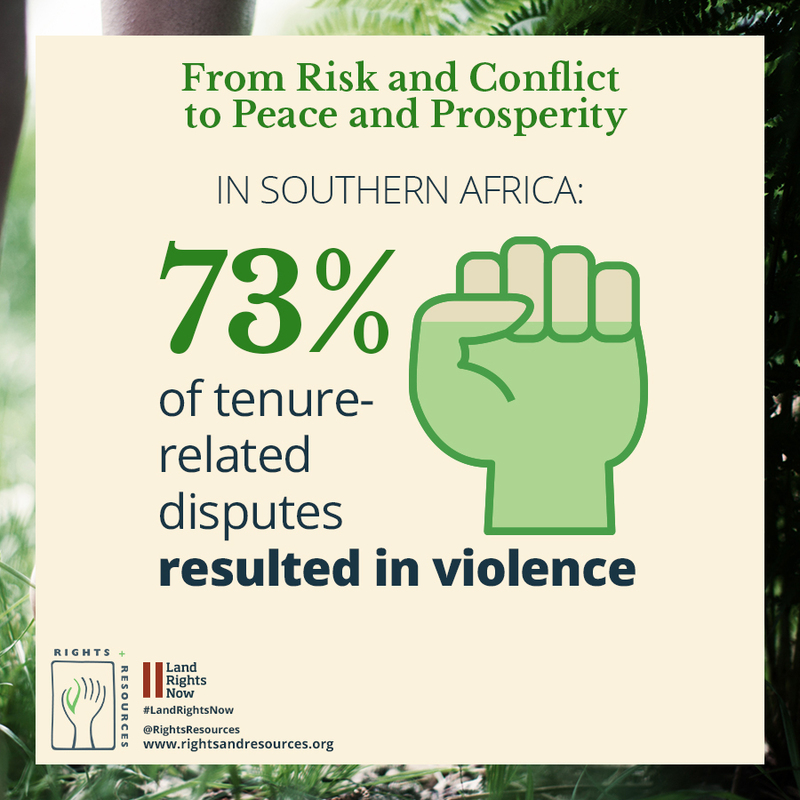 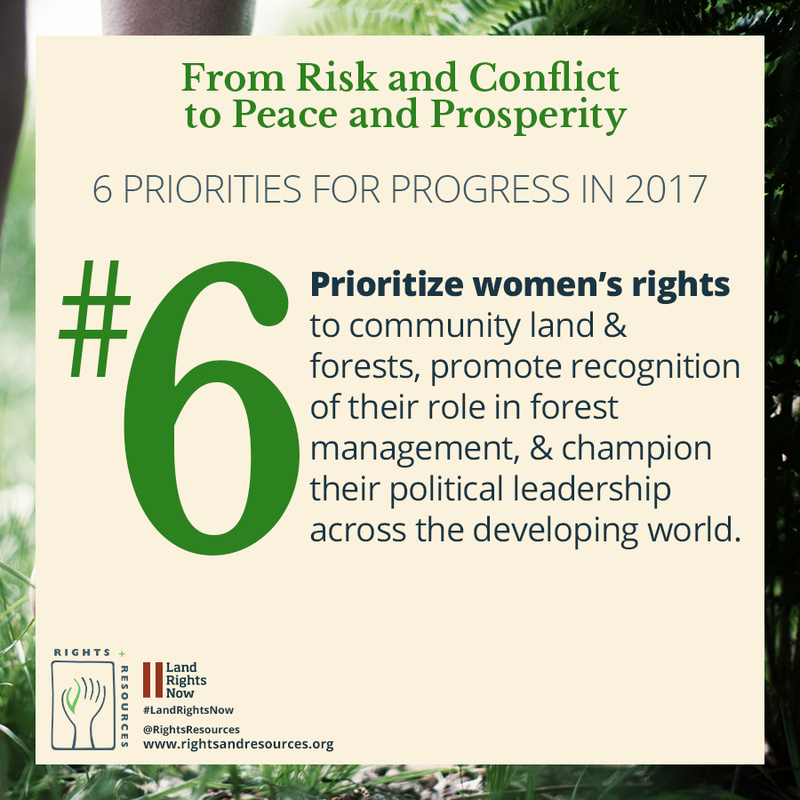 Prioritize women’s rights to community land and forests, promote recognition of their role in forest management, and champion their political leadership across the developing world.